Gulf Coast Master Naturalists go on a Field Trip! On Saturday, May 14th we had a chapter field trip to Armand Bayou Nature Center's private rookery. It was an amazing experience! We received advanced training hours as Stewardship Coordinator Mark Kramer educated us on the behaviors of colonially-nesting birds of the Gulf Coast and then we car-pooled over to the rookery to enjoy the cacophony of hundreds of nesting egrets, herons and anhinga - all jostling for space, food and nesting material. 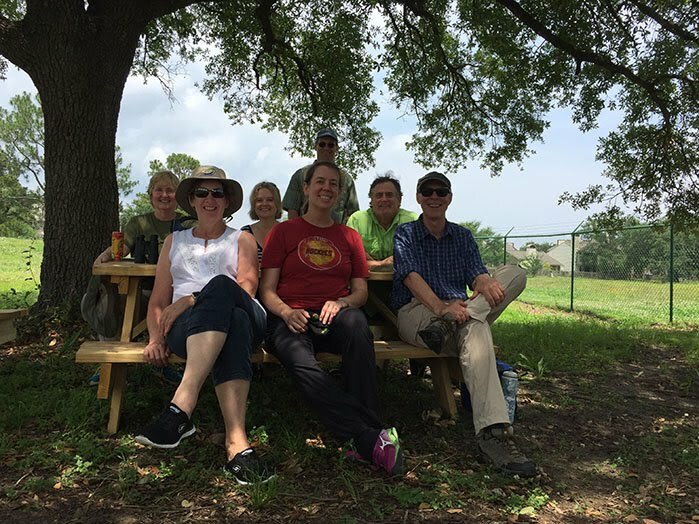 Some of us followed up our morning at Armand Bayou with a tour and lunch under the trees at the Exploration Green tree nursery - project of Chapter member Jerry Hamby.